← Simple Solutions for Busy Families—Get Back Hours a Day Starting Today! Simple Solutions for Busy Families Part II—Saving Even More Hours Each Day! Earlier this week, I wrote about simple solutions for busy families. If you haven’t read that post, check it out here. Hopefully, through that one tip alone you have saved yourselves hours each day that you can enjoy with your spouse, kids, or friends. There are plenty of other areas in which Americans can get back the time that seems to be slipping through our fingers. Curbing online time is another huge potential area for time savings. This is certainly an area in which I could improve. My time wasters include checking CNN, Facebook, Twitter and email too frequently. How do we spend time online? For most Americans, online time is dominated by social networking and gaming, according to this Nielsen report. 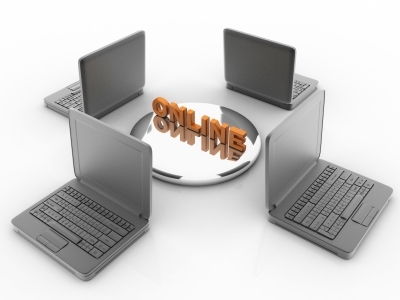 A Forrester survey (Dec. 2010) says that Americans spend an average of 13 hours per week online. The vast majority of this time was spent on social networking, playing games or videos, and tiny percentage actually caught up on the news. Americans spent a total of 53.5 billion minutes logged onto Facebook in May of 2011, according to Nielsen. This makes it the most popular website in the U.S. Some age groups spend as much or more time online as they do watching TV. Mobile devices that are connected to the Internet are adding to the growth of time spent online. Mashable Tech has more info on these trends. Technology is nearly ubiquitous, but I’m not giving away my iPhone anytime soon. Most of us find it helpful, entertaining, and/or addictive. You can make small changes that will add up to a lot of time saved. Consider whether keeping Twitter and Facebook on your home computer not on your mobile device could save you many interruptions during your day for not-so-crucial updates. You might even consider, like my husband, not participating in social media–egads! Or, pick one or two brief times a day to scan and post updates. Ditto for email. After checking one email, I’ve read it takes several minutes to refocus on a task. So, processing a large group of email is more efficient than doing so all day long. And don’t do it first thing in the morning when you could be most productive on an important task. Don’t be afraid to set family guidelines for online time and/or device time. Learn how to tune out the world and focus on each other. Turn phones off for dinner, dates or other special times. Place time limits on social networking and game time (or Pinterest, etc.). Consider “rewarding” yourself only after you’ve done something higher up on your priority list like taking a family walk. Keep computers and laptops out of the bedrooms. A computer screen isn’t conducive to sleep and hinders intimacy. And for kids, it prevents good sleep habits and encourages more time spent online. Give yourselves a deadline where you’ll both be offline and able to connect with each other at the end of the day. Many nights, we’ve both been on the computer waiting for the other person to be done, not communicating that we weren’t doing anything important. What online tips do you have for saving time? Do you consider your computer and Internet-connected devices helpful or harmful to your family? This entry was posted in Family, Happiness, Marriage, Parenting, Personal Growth, Relationships, Research and tagged better family life, Family, family tips, improve family life, Marriage, marriage tips, save time, time spent online, time-saving tips. Bookmark the permalink.